These days a CRM isn’t just a luxury — it forms the cornerstone of your entire workflow, helping (or hindering) the effectiveness of your sales process. That’s why choosing the right customer relationship management solution can feel like a huge undertaking. You’ve got to think about whether the functionality fits the way you work, how to get your team on board and if it’s a worthwhile investment of time and money. Pair that with the fact that there are literally hundreds of CRMs to choose from, and shopping for a CRM can be downright overwhelming. But don’t put it off. The sooner you find a CRM, the sooner you can start enjoying the perks of a more systematized and transparent sales process. 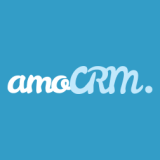 If you follow the tips below, you’ll find that searching for the right CRM can not only be painless, but even enjoyable. The modern customer expects a lot — a response within the hour, a personalized buying journey and an account manager who anticipates their wants and needs. It’s no wonder that the demand for customer relationship management tools is growing every year. It gives businesses that competitive edge of getting in there first and really wowing your leads while they’re hot. Nevertheless, a lot of CRMs don’t deliver the dazzling ROI you’re expecting and working with them becomes tedious.